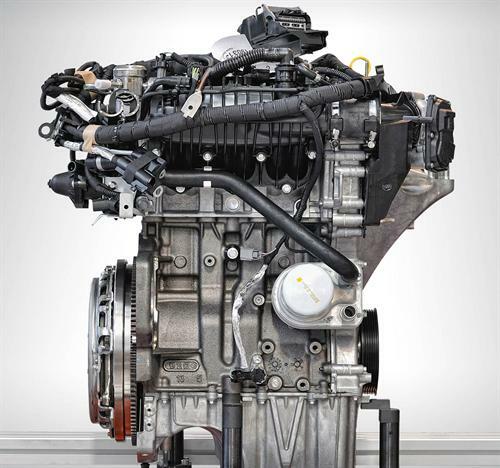 A new study shows just how quickly automakers are moving to small engines. However, there is growing evidence that in the real world the fuel economy of these engines is not living up to promises. Small engines are all the rage in the US auto marketplace. A new study by the Power Information Network from J.D. Power and Associates provides interesting details on the progress small engines are making. The primary reason given for automakers’ switch to smaller engines is compliance with government mandated Corporate Average Fuel Economy standards (CAFE). Small engines are defined as those with 3, 4, or 5 cylinders. However, there is a little more to the story than meets the eye. The most interesting fact from the study is that in 2008 there were only 5 nameplates with 90% small engine market penetration. In other words, 9 out of 10 of the vehicles they sold had small engines. Today, only five years later, there are 11 brands that sell mostly small engines. Four of those brands, Scion, Mini, Fiat, and Smart, only offer small engines. However, their combined overall annual market share is less than the Ford F-150 pickup truck. One manufacturer, Volvo, has committed itself to joining these 3 and promised earlier this year it would move to offer only 4 cylinder engines. However, shortly after that the company joined the Australian V8 Supercars series. So apparently the company is torn about the decision. Four cylinder engines with turbochargers are marketed as a way for consumers to get similar performance to a non-turbo six cylinder engine. However, in most cases they don’t. Worse, there is growing sentiment among enthusiasts that the turbocharged engines are simply a way for automakers to game the system and trick the EPA mileage estimate test. Once the testing is done, these enthusiasts believe that the real world mileage of the engines is below the estimate and that a normally aspirated (non-turbo) larger engine would have been more practical. To address this concern the US government has directed its fueleconomy.gov website to begin taking data from actual customers. Under the EPA estimated numbers the site now lists the actual mileage reported by consumers. It also shows the number of consumers who reported that data. For example, the 2013 Ford Escape AWD with a 2 liter turbocharged engine is EPA rated as having a 21 mpg city, 28 mpg estimated highway rating which combined is 24 mpg. However, the actual mileage for the Escape that consumers have reported is lower at 20.5 mpg. Not even close to the combined EPA rating, and not even equal to the city mpg estimate. By contrast, the 2013 Acura RDX AWD, which only came with a 6 cylinder engine, was rated at 19 city and 27 highway by the EPA. Users on the government site reported that they actually exceeded the combined EPA rating of 22 mpg, posting 24.6 mpg with the RDX in actual use. The RDX and Escape are similarly sized vehicles. The RDX with the 6 cylinder engine is more powerful than the Ford Escape and gets better real world fuel economy, though this is based on limited actual customer reported data. Over the past 5 years the switch from six and eight cylinder engines to four cylinder engines has accelerated and the overall change is about 13%. Despite consumer concerns, by all measures the switch to smaller turbo engines is sure to continue for some time.